Then sprinkle with some sumac, and drizzle with 2 tablespoons butter which you have browned in a pan. It’s delicious and looks so beautiful! Even before the dressing. Serve with some toasted pitas or flatbreads to scoop up all the lovely dressing! Have wonderful weekends! See you on Monday! 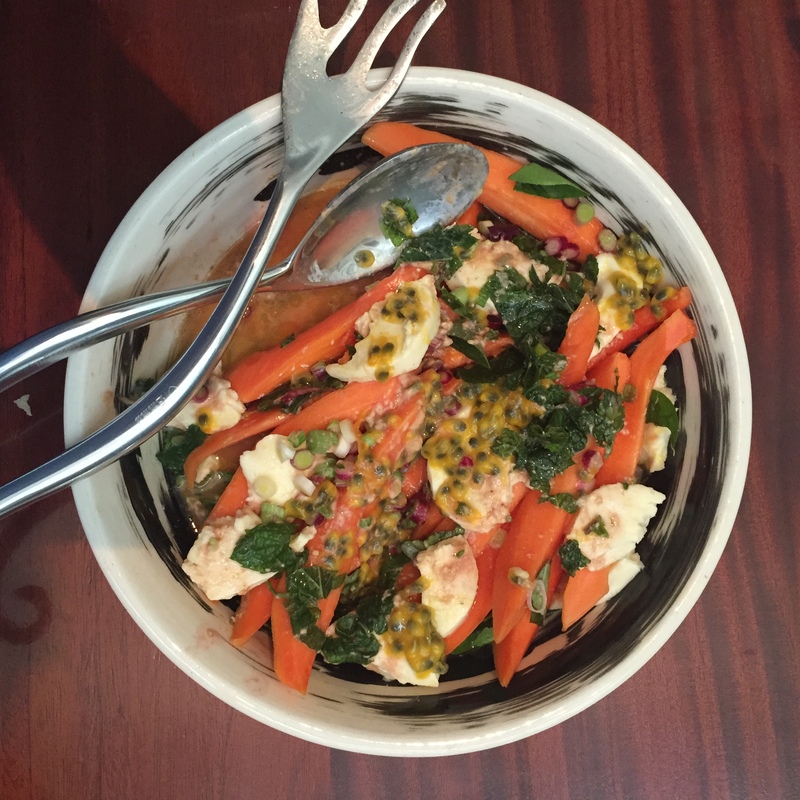 Ok, so in keeping with my 2015 resolve, here is my first new recipe of the year, for a papaya, mozzarella and mint salad. Slice the papaya into thinnish slices, not so thin that they break up, tear the mozzarella up and scatter over the papaya, garnish with the ripped basil leaves. I probably used about a tablespoon of them. I could not find any radishes yesterday, so I used instead spring onions, thinly sliced, which seemed to work as well! Drizzle the granadilla pulp over the salad. Then make your dressing by mixing the vinegar, oil, mustard and mint together. Pour that over the salad and voila! 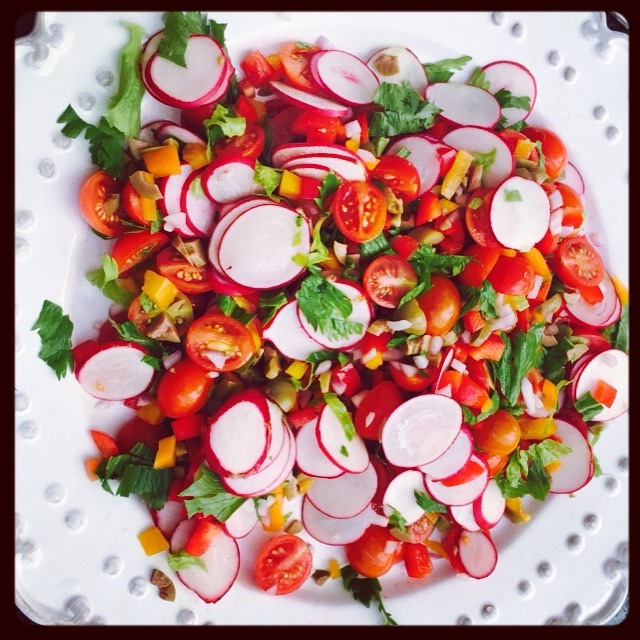 It made a delicious tasty and refreshing summer salad. I served it to friends who are quite expert in salads, and they loved it! For ease of making it scores 5 points! Then today I celebrate 2 birthdays – today is TAFKAD’s birthday, she is having a significant birthday – the one where you turn 30 with 10 years experience! I am hoping she has a marvellous and day and am really bleak that I don’t get to celebrate with her! Oh well, we will always have Paris! And in other news, my friend, Charne who lost her precious baby Ethan in September, has been selected by a birthmom and will be blessed with the birth of a son today! What an auspicious day, what a year!